In the beginning God created the heavens and the earth. The earth was un-formed and void, darkness was on the face of the deep, and the Spirit of God hovered over the surface of the water. Then God said, “Let there be light” and there was light. In the beginning was the Word and the Word was with God, and the Word was God. He was with God in the beginning. God has always spoken for Himself. He was the first “speaker”, teacher, voice. He was the One who spoke to Adam and Eve, Abraham, Isaac, Jacob, Noah, Jonathan, David, Isaiah, Jeremiah, Ezekiel, Elisha, Elijiah, Jonah, Daniel, and every single human that wrote a Word for The Word (Yeshua/Jesus). You could say, not a word exist without Him! Speech is NOT man-kind’s invention. Its not a part of our “evolution” or process of “higher learning” We were taught by The Word how to write, learn, teach and speak them. God still speaks for Himself. He still vocalises His will into the ears of the hearts of His children. He has NO intention of leaving His heart, mind, will to man to communicate for Him. After Yeshua, this became a done away practice. Its not blasphemy! Here see His Words He, Himself said. It is written in the Prophets, ‘They will be taught by Adonai.’ (Isaiah 54:13) Everyone who listens to the Father and learns from Him comes to Me. Therefore, as many of us as are mature, let us keep paying attention to this: and if you are differently minded about anything, God will also reveal this to you. As for you, the Messianic anointing you received from the Father remains in you, so that you have no need for anyone to teach you. On the contrary, as His Messianic anointing continues to teach you about all things, and is true, not counterfeit, so, just as He taught you, remain united with Him. Everyone always wants to know what Yeshua’s “secret” was to being sinless. Opinions vary, “He was God.” “He was obedient to the Law,” “He was pre-determined to by God the Father.” All true, but not complete. Ready? Here’s the “secret”… He listened to and only to the voice of His Father, believed only what He said, did only what He told Him to do, said only what He told Him to say, trusted only One Voice! In short He loved the Lord His God and Him only! The first commandment. By doing this He did all the “right” things. He fulfilled all the old testament and wrote the new! Did He get called crazy? Yes. Did everyone believe Him? No. Was His methods, words, actions questioned? Yes, at every turn by man; not by God. So…listening to His Father was the key! Then He told us to do as He did. In the book of John He can not be more clear about this. Note the end of the above verse in Jeremiah. Why does God say He will teach us Himself? Because of forgiveness. Who made that possible? Yes, Yeshua/Jesus! This is why He is the gate, the only way to the Father. Listening and talking is an ebb and flow of relationship! Yeshua spoke against methodology, religion, actions and behavior modifications that seek to prove our worth to God. Needing other people to approve or validify their authenticity. God wants our friendship, community, trust…relationship. This is the point from the beginning. He speaks; and ANYTHING He says happens. He’s 100% right about EVERYTHING all the time. He can be trusted! If we ask Him anything, He has the answer. If we tell Him anything, it is guaranteed to be heard, acknowledged and taught to us as it really is. His correction, is clarification! Not spankings. He longs to tell us about Himself. Don’t we think the best person to tell about us is us, from our own mouths? The only exception for myself is that God would tell someone about me instead, but no one else would come near to knowing me except through mine or His lips alone! (His being the most accurate) Interaction with me is key! So…if God’s entire desire is to be fully known by us, His voice alone can only do that best. Yes? Interaction with Him personally is paramount! Note again the verse in Jeremiah above. Its the House of Israel He is the speaker of and to. He is the Speaker of the House. Which house do you belong to? Yeshua is building it as I “speak”. Its not a house of geological location (except here on earth). Don’t let the country of Israel confuse you. Though that little plot of earth, no doubt means something very important to God; His House of Israel is global. I am of the House of Israel, though I reside in the USA. When I pray for the “peace of Jerusalem” I pray for me, you, and all of those He calls His; from the USA to the white dunes in Antarctica. His Voice is building on what Yeshua started, a total “tuning into to God and God alone”. No matter what it “costs” us. From what I can see, the biggest thievery of Satan is to make people believe they can not hear God themselves. And given all the above, you can hear the snake again in the garden…”Did God really say?” There was no “bible” for Eve to refer to. The question was aimed at what God, interactively relationally said to her (and Adam). We, are abundant in our means for confirmation that its God who speaks to us because of our Bibles! Though God may talk to me about my marriage, job, children in details not word for word written in it; I have the guarantee that nothing written in it will contradict His interactive Voice to me! Or to you. What Grace He has lavished upon us! Let’s wrap up. God/Yeshua/the Spirit gets the last Word too! He is and will be the last One to speak. I warn everyone hearing the Words of the prophesy in this book that if anyone adds to them, God will add to him the plagues written in this book. And if anyone takes away from the Words in the book of this prophesy, God will take way his share in the Tree of Life and the holy city, as described in this book. Note the detail in mentioning all things related to speech/language/words. No one cares about communication more than God! Notice how He goes back to the Beginning here in the End? Referring to a tree, the Tree of Life! There is a snake here too! Even now he is asking you to question if God speaks to you. To question what He says. To question. Yet Yeshua now stands in front of that snake, to reminds us not to listen. We have at this time in history had almost 7 thousand years to learn that God is God, and fully trustworthy as such! He is the Judge, we “all rise” to when He enters. He is the Teacher of all things made, by which nothing was made by anyone but Him. He is the “secret” to the City! Listen to Him! He is speaking! that shows through this particular blog, called “Speaker of The House | hisimagenme”. No higher compliment can be paid anyone that they know the Speaker of the House! 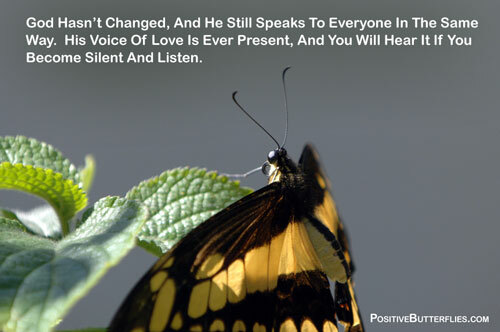 May God bless and keep you and make His Voice be heard with a symphony of Love that transforms you day by day. Shalom and grace in Yeshua (Jesus) the Messiah. When I originally left a comment I seem to have clicked on the -Notify me when new comments are added- checkbox and now each time a comment is added I recieve four emails with the same comment. Perhaps there is a way you are able to remove me from that service? Cheers! I will try to fix it from my end. Perhaps you can go unclick “notify me when a comments made” and it may correct that? Thanks for your comments and stopping in…blessings.